Click on the cover to download or click here for the web based flipbook version. Issue 5 looks at how ‘one nation’ Labour can work for women and women can grow the economy and in the economy. Click on the cover to download or click here for the flipbook version. Issue 4 argues that wider provision of free childcare would help boost the UK’s flagging economy, suggesting it could potentially add a staggering 7% to GDP. Featuring: Rachel Reeves, Shadow Chief Secretary to the Treasury, examines how we need to both advance an alternative to austerity and an agenda for reform, that meet popular aspirations for a fairer, stronger economy; Ville-Pekke Sorsa, from the University of Helsinki, highlights how the principles of the Nordic social model, based on equality and inclusiveness, could be crucial for overcoming the economic crisis; Chuka Umunna, the Shadow Business Secretary discusses what deal we need to offer to small businesses, and Editor what we will be doing for women, who are at the sharp end of the crisis. In Issue 3 Fabiana puts ideas on the table about how to equip the UK economy for growth. Featuring: Kate Green MP, Kitty Ussher, Lisa Nandy MP. Issue 2 discusses how a feminist framework can effectively reform the UK’s welfare state and equip it to drive economic growth. Featuring: Hilary Cottam on a more relational welfare; Ed Miliband on on why Labour wants to walk side by side with feminism; Deborah Mattinson on why we need women driving a strong, progressive agenda; Shadow Minister for Innovation Chi Onwurah on what the UK has to gain by boosting women’s presence at all levels; Helen Walls on equal participation of women in boardrooms. The first issue of Fabiana is filled with a combination of feminist voices. 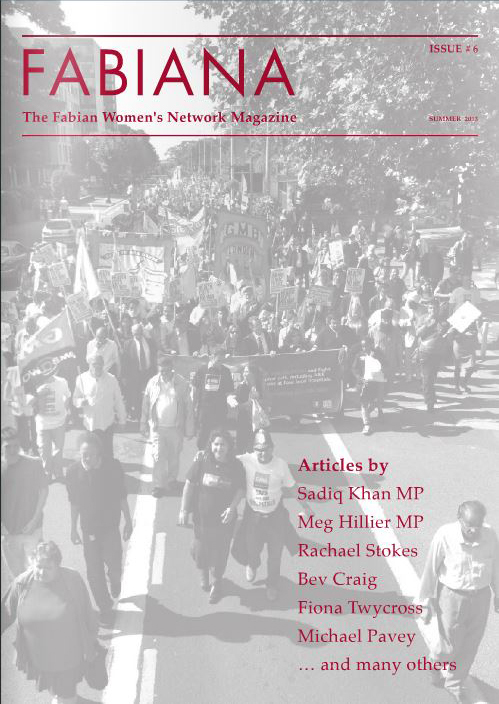 Featuring an interview with Maurice Glasman, Harriet Harman on her Labour party conference speech plus Sadiq Khan, Giovanni Allegretti and Rushanara Ali write about a wide range of urgent issues, from shrinking legal aid to participatory budgets and women in peace processes. 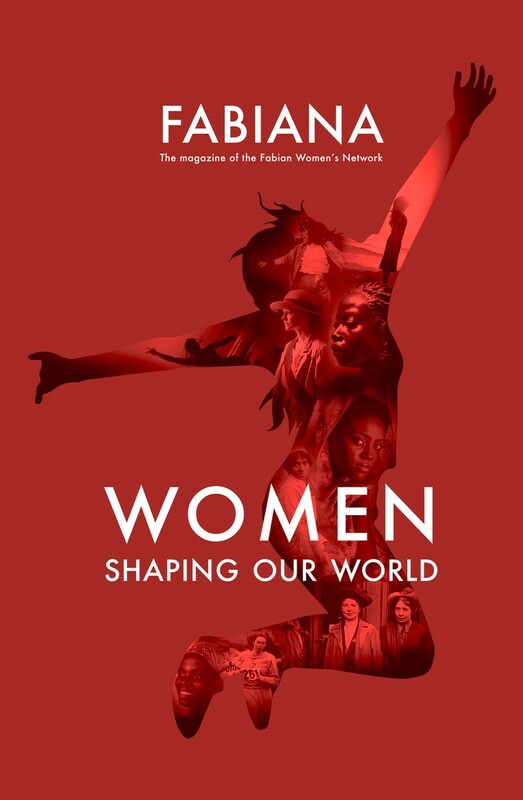 We are delighted to welcome you to Fabiana, the new FWN magazine, an arena where the power and potential of women can be heard and showcased, and as a platform for policy analysis, comment and debate. The first issue is filled with a combination of feminist voices – from Labour Party veterans to those they have inspired who are just setting out in their careers. They all share the conviction that progress for women is inextricably linked to progress for all in society, but come at it from diverse backgrounds and angles. Launched one hundred years after the first International Women’s Day, Fabiana has a UK focus but a very international outlook, looking at the contributions of women from London to Libya and Liberia. Harriet Harman reveals some of what she will tell her own party at the Labour Party Conference. Authors including Sadiq Khan, Giovanni Allegretti and Rushanara Ali write about a wide range of urgent issues, from shrinking legal aid to participatory budgets and women in peace processes. In an exclusive interview, Maurice Glasman goes several uncomfortable rounds with the Editor in defence of his often controversial vision of Blue Labour. We would be very grateful if you could give Fabiana a warm welcome. The magazine is open to all who want to debate politics and innovate policies, whatever walk of life in politics, business, the public sector or civil society.